Project Description: The CivicSpark fellow will help local governments, non-profits, and local businesses reduce operating costs and improve their bottom line through buiding energy benchmarking, technical assistance, direct installation of energy efficiency measures, and rebate support. Project Description: CivicSpark fellows will support the accelerated adoption of electric vehicles and other alternative vehicle fuels in the broader North Coast region. The fellows will be part of the North West California Alternative Fuels Readiness Project, which is creating a coordinated effort throughout the Northwest California region to introduce more alternative fuel vehicles and develop a robust market for alternative fuels. CivicSpark fellows willengage in community outreach and education, stakeholder engagement and technical research and analysis. Project Description: The CivicSpark fellow will provide technical assistance to help partner jurisdictions become designated as National Bicycle Friendly Communities (BFC). The fellow will also provide support to increase promotion and participation for Bike Month events, developing improved outreach strategies, recruiting volunteers, and creating an implementation plan to guide future Bike Month activities. the CivicSpark position will be shared across the 3 partners listed above. Project Description: For Contra Costa County, the fellow will conduct marketing and outreach to local agencies and businesses regarding current Energy Efficiency Programs being implemented by the County. The fellow will also assist with data analysis to target specific demographic data, and analyze completed projects for tracking GHG emissions reductions. For the City of Antioch, the fellow will conduct research to finalize the draft Energy Action Plan; conduct GHG inventories; develop and implement an idling policy for city vehicles, an alternative fuels vehicle replacement policy, and an environmental purchasing policy; and conduct outreach of the City’s Spare the Air campaigns. For the City of Pittsburg, the fellow will conduct outreach to multifamily and residents regarding energy efficiency programs and rebates. the CivicSpark position will be shared between the 2 partners listed above. Project Description: For Union City, the fellow will perform research on best practices for sustainability policies in other communities’ General Plans working towards production of draft sustainability policies for consideration in the City’s Climate Action Plan Update. The fellow will also participate in the City’s interdepartmental Green Action Team meetings and work on CAP implementation programs. For City of Dublin, the fellow will work to complete its 2015 GHG inventory; set up the LUCID energy management software; update and and analyze EPA Portfolio Manager data; and work on possible implementation of a Solar Mapping software program. Project Description: The CivicSpark fellow will manage the Connected Cities tool; gather other municipal and community data to facilitate regular reporting on a variety of sustainability-related metrics; develop a Climate Action Plan implementation tracking program; work with Hayward’s economic development staff and Chamber of Commerce to promote the Green Business Program; and conduct community outreach to promote energy conservation, energy efficiency, solid waste reduction, and water conservation. Project Description: The CivicSpark fellow will participate in two of the City’s primary climate action initiatives: improve energy efficiency of City facilities; and implement the City’s zero waste programs with a focus on multifamily and commercial food scraps and recycling participation. The fellow will work on all aspects of program management and implementation, including: outreach; relationship building with city staff; collaborating with businesses and multifamily forums; financial and environmental analysis on energy and solid waste services and rates; and implementation and monitoring. Project Description: The CivicSpark fellow will support Emeryville’s Climate Action Plan. The fellow will develop an updated Climate Action Plan draft or finalized product, a Sustainability Plan for City operations, a draft energy upgrade ordinance, and a relevant, useful, and timely sustainability webpage for the City website. Project Description: For the City of Walnut Creek, the CivicSpark fellow will help implement the Climate Action Plan, which will include electric vehicle research, review, and recommended updates to the city’s code; organizing and leading outreach events for education or workshops on climate topics; and a review of the city’s design review guidelines and recommendations for voluntary green best practices. For the Institute for Local Government, the fellow will provide support for the Beacon Award Program, which is a statewide program recognizing California cities and counties that are working to reduce GHG emissions, save energy and adopt policies and programs that promote sustainability. Project Description: The CivicSpark fellow will assist with three Energy and Sustainability Division projects, including the Green Business Program, the On-Day Clean Commute program, and the Sonoma County Energy Independence Program. The fellow will also support the volunteer engagement component of the County’s partnership with Daily Acts. Project Description: The CivicSpark fellow will assist with ordinance compliance of the City’s Building Energy Ordinance, which requires buildings in the City to conduct and report energy assessments as a key implementation item in the City’s Climate Action Plan. The fellow will create a help desk that assists building owners with benchmarking and reporting requirements; develop educational materials and provide training and workshops for building owners and professional associations on how to comply with ordinance in collaboration with energy service providers; and broadly support the City use energy information to support market transportation and encourage widespread adoption of energy saving measures. Project Description: The CivicSpark fellow will complete various milestones outlined in and in support of Piedmont’s Climate Action Plan, as well as review the document itself. Those milestones include an inventory of the City’s post-top HPS streetlights and research of high-efficient replacement fixtures; the development of a draft Building Energy Savings Ordinance; an analysis of the City’s Climate Action Plan; assistance with the set-up of Connected Cities municipal energy and water maintenance software; and assistance with the completion of loading data and planned measures into ICLEI SEEC climate action monitoring and planning web-based software program. Project Description: The CivicSpark fellow will provide support with compiling and analyzing GHG inventories using ICLEI ClearPath software; help the City maximize efficiency opportunities in solid waste and management; develop recommendations for an Oakland Commercial Energy Conservation Ordinance; and develop and implement strategic energy efficiency outreach plans for key community sectors. Project Description: The CivicSpark fellow will support the Solar Mapping Project, to build an understanding of what opportunities exist in Napa County for solar energy projects and to evaluate and communicate economic and environmental opportunities for solar energy, and the Electric Vehical Charge Spot Research Project, to conduct research and outreach to significantly increase the number of EVs in use in Napa County. Project Description: The CivicSpark fellow will assist the City and the business community to manage resources, including water, energy, waste, and transportation, and regulary report on those efforts. The fellow will manage the City’s Green Business Program, co-manage the internal City green team (BECAT), facilitate the City’s Green Business Survey, promote the Business Resource Incentive Program (CRIP, and support ongoing measurement and analysis of these efforts. The fellow will also work closely with the City’s Climate Action Plan Coordinator to assist with various strategy implementation and monitoring. Project Description: The CivicSpark fellow will complete the school water auditing pilot program in partnership with the Bay Area Water Supply and Conservation Agency, which will include getting training in water auditing techniques from Maddaus Water Management through an on-site audit at a public high school in the county, then present the pilot findings to BAWSCA’s member agencies to turn the initiative into a regular BAWSCA program. The fellow will provide water audits for public schools in the county, with technical support from Maddaus, and present a detailed audit report to the school district and provide guidance to get the district to move forward with implementation. Project Description: The CivicSpark fellow will review the high-speed rail system infrastructure to determine the risk of various assets to current and future climate hazards. This project includes identifying specific climate risks and performing a quantitative assessment of the impacts on high-speed rail assets and future operations. The fellow will develop a list of system-wide and asset-specific adaptation strategies, which will be evaluated by the team and incorporated into the planning, design, construction, and operation of the system. Project Description: CivicSpark fellow will support the One Cool City Campaign, a campaign targeting Davis households with specific actions to reduce their greenhouse gas emissions in the area of Home Energy. The fellow will participate in the design of GHG reduction programs at neighborhood and community organization level; train and support community volunteers; plan and lead workshops and other community-based activities designed for community engagement in GHG reductions; and work with key city staff, university experts and other community advisors to track, record and analyze program results. Project Description: CivicSpark fellows will help support two ongoing and one new projects at the Air District to reduce emissions of air pollution and GHGs: the Home Energy Conservation Program, the Low-Carbon Transportation and Idle Reduction Program, and the Food Waste to Fuel Program. Fellows will conduct outreach to build awareness about the programs, work with partners to develop a program plans and launch the programs, and use data-driven analysis to track progress. Fellows will also educate community members, participate in planning groups, and track policies and decisions around these issues. Project Description: One Community Resiliency Fellow will support resiliency by working on a range of programs that aim to improve the rural/urban connections, particularly addressing resource issues faced by upstream communities and their downstream counterparts. The Project work will combine initiatives directed by the Sierra Climate Adaptation and Mitigation Partnership (Sierra CAMP), with those directed by the Capital Region Climate Readiness Collaborative (CRCRC).. The Fellow will further seek to integrate findings and share them statewide by working with the Alliance of Regional Collaboratives for Climate Adaptation (ARCCA). Across all these partners, the fellow will work to identify resources and policies that can inform local planning and responses to climate change for both urban and rural communities and further seek to create equity in their response to climate change. Project Description: CivicSpark fellows will conduct climate research for Sierra Nevada communities to assist local governments advance Climate Action Plans. Fellows will use data-driven analysis to support Energy Action Planning by conducting re-inventories, benchmarking municipal buildings, and training staff in energy star portfolio manager. Fellows will support Climate Action Planning by developing goals, strategies, actions, and tracking processes, as well as by researching risks and vulnerabilities in the region resulting from climate change. 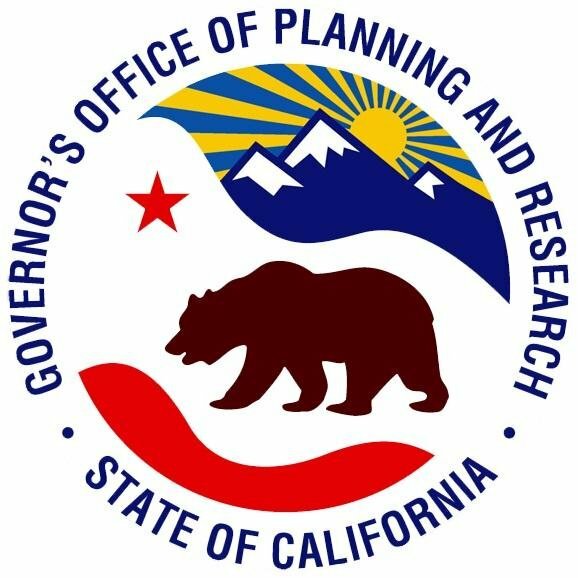 Project Description: This position will support water related resiliency initiatives in the Sierra Nevadas. Working with Sierra Business Council and the Local Government Commission, this Community Resiliency Fellow will work on projects that address water/energy system improvements and provide drought training for local government staff in the Sierras. Project Description: The CivicSpark fellow will support local climate action research and local government policymaking through coordination with various regional agencies on collection of data and development of a statewide climate action database. The fellow will form an advisory group, create a spreadsheet of data and information collected within participating regions, and develop a report on missing information and next steps to be considered for statewide database expansion. Project Description: Two Community Resiliency Fellows will support climate change responses for Central Valley communities by working on a range of water and other community greening programs. The bulk of the project work for these fellows will be focused on two major water programs; WeCAN and a Drought Training program for local government staff. Additionally the fellows will help with the final stages of an urban forestry outreach and technical assistance program for Valley communities. Project Description: The CivicSpark fellow will assist with research and outreach related to the next Regional Transportation Plan (RTP) and Sustainable Communities Strategy (SCS) through development of an Alternative Planning Strategy (APS). Activities may include developing a catalog of infill sites in the region, data collection and researching funding mechanisms in other regions. In addition, the CivicSpark fellow may assist local jurisdictions interested in developing and/or implementing local climate change activities such as energy audits and climate action plans. Lastly, the CivicSpark fellow will develop the framework for a local college climate action internship program. Project Description: The CivicSpark fellow will support the implementation of the County’s Energy and Climate Action Plan (ECAP) by training County departments on the new GHG monitoring tool, as well as develop and draft reporting and enforcement protocols. The fellow will also determine 2015 baseline GHG emissions, and provide regular analysis and reporting regarding the County’s progress on ECAP goals. The fellow will also assist with the development, content, and maintenance of the ECAP and sustainability webpage and social media, as well as help organize staff sustainability workgroup meetings. Project Description: CivicSpark fellows will assist local governments in the implementation of their Climate Action Plans through increased awareness of and participation in energy efficiency, conservation and incentive programs. The fellows will work with the San Luis Obispo Energy Watch team to develop and refine pathways for local businesses and government agencies to participate in programs. The fellows will define outreach targets through stakeholder meetings, develop and deploy a strategy to improve program participation, conduct targeted outreach campaigns, and assist cities with tracking and reporting GHG emissions. This fellow position will be shared with the two organizations listed above. Project Description: The CivicSpark fellow will focus on water system resiliency initiatives in Southern California by supporting water education and outreach programs. The fellow will assist SAWPA staff with the implementation of the Water-Energy Community Action Network, which provides immediate water savings to approximately 260 homes and energy savings to approximately 1,700 homes in Disadvantaged Communities in the Santa Ana River Watershed. The fellow will work in the following areas: outreach, technical assistance, training, community engagement, and working with County Community Action Partnerships in water-energy efficiency. Project Description: Two fellows will support the development of sustainable communities best practices by highlighting projects, developing factsheets, and organizing events. The fellows will also provide broad support for SCAG’s joint work programs by tracking, identifying, and summarizing progress for each program, as well as support for individual programs where needed. One fellow will provide support for transit projects for the Sustainable Communities Strategy, as well as conduct research and outreach, develop a database and identify gaps, and coordinate with a variety of stakeholders to implement pilot projects. Project Description: Water LA is a bottom-up, community-driven program designed to bring together nonprofits, residents, small businesses, and local agencies in a collaborative urban acupuncture approach to water sustainability in LA. CivicSpark fellows will assist the program’s science lead in the department of bio-diverse landscape plan templates for the first two project neighborhoods, and support program-related policy efforts to adapt existing street tree and parkway plan lists to be more climate-appropriate. Fellows will also work with the program’s technology lead in the development of the site assessment tool, and would support ongoing analysis of BMP costs and benefits. Project Description: The CivicSpark fellow will work with the Public Housing Operations & Maintenance and Affordable Housing Development to conduct research and develop education materials for green products, certifications requirements, and energy generation systems. The fellow will also implement mapping and other data management systems, and support the creation of the City’s first LEED ND certified neighborhood. Project Description: The CivicSpark fellow will set up operational systems to significantly increase recycling and waste diversion at the Los Angeles County Sheriff’s Department – Pitchess Detention Center (PDC). The fellow will also support additional sustainability projects, including on-site organic farming, anerobic digesting for biogas and compost production, energy efficiency, water recycling and greywater re-use, and potentially an electric car pilot program. The fellow will conduct research for these projects, write articles, create presentations for executive briefings or proposals and develop data gathering tools for tracking progress. Project Description: The CivicSpark fellow will support the development and implementation of LA County’s Sustainability Policy, perform an inventory of existing and future sustainability-related policies and iniatives, and develop metrics and dashboards to track the county’s progress. The fellow may also help implement LA County’s Climate Action Plan, assist in creating an implementation plan for Internal Services Department’s Internal Carbon Market for fleet fuels, and provide design and marketing support for various sustainability programs. the CivicSpark position is shared between the 2 partners listed above. Project Description: The CivicSpark fellow will support resiliency initiatives at the local level with a statewide application. The fellow will work with the City of Long Beach on their policies and programs and may include scoping a new Climate Action Plan and refining the existing Sustainable City Plan. The fellow will work with Los Angeles Regional Collaborative for Climate Action and Sustainability in partnership with the Alliance of Regional Collaboratives for Climate Adaptation to support local engagement with the 2016 California Adaptation Forum and regional adaptation efforts, such as implementation of the new SB 379 legislation or integration of mitigation and adaptation planning activities. Project Description: The CivicSpark fellow will support the development of a final report of the City’s current 15×15 Climate Action Plan and the integration of various components into a larger 2030/2050 climate action and adaptation plan. The fellow will provide project support in the form of coordination, outreach, communication and events. The fellow mayalso support a number of short-term projects, including but not limited to: the EV Infrastructure Network Plan and Community Program; Benchmarking and Disclosure Ordinance; Green Building/ZNE/Solar Ordinance; Ongoing energy efficiency projects; and ongoing renewable energy and storage projects. Project Description: One CivicSpark fellow will work with the Climate Committee and the Tree Committee to conduct background research to inform decision-making; draft components of the urban heat island reduction plan; implement a specific interdepartmental tree strategy selected by the Committee; assist with outreach to member departments; and assist with community outreach. The fellow will have the opportunity to work with high-level staff at various County departments, as well as key players working on climate change in LA County. One fellow will support the launch of the internal Climate & Health Initiative, envisioned as a comprehensive effort to leverage all branches of the Department of Public Health to work on climate change mitigation and resilience efforts. The fellow will facilitate meetings with relevant division directors, launch an intradepartmental workgroup, and support the development of two action plans.